JM-S Series press brakes are designed to increase your productivity and decrease your per unit cost. Design innovations based on our years of experience have resulted in faster speeds on the approach, bending, return and back gauge. 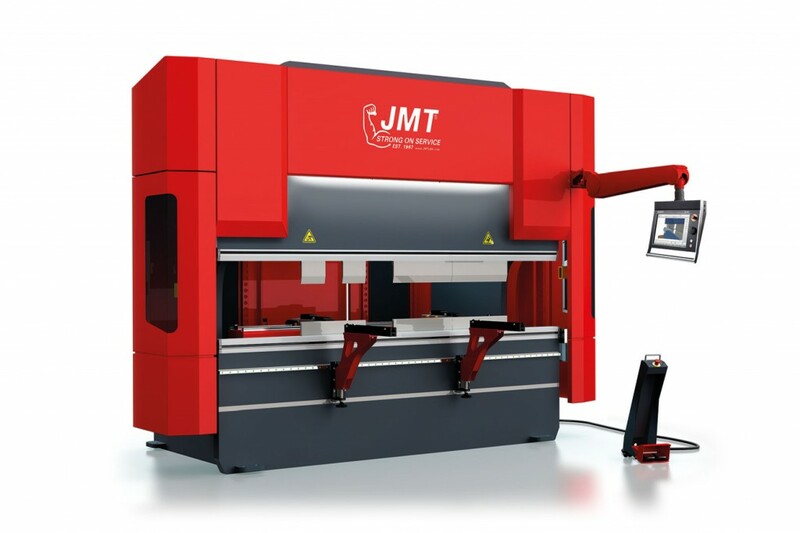 JM-S Series press brake features a rigid mono-block frame for minimum deflection under load. Synchronized dual cylinders and valves assure smooth, stable ram motion for high-quality, precision bends accurate to with 0,01 mm. JM-S series daylight, stroke and throat depths are specially designed for long tools. 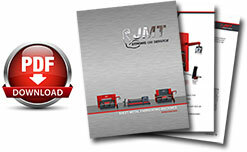 JM-S & JM-R series press brake features a rigid mono-block frame for minimum deflection under the load. The frame steels are German origin,ultrasonic controlled & ST-44 material. Machine welding is made by welding aparatus & welding robots. After the welding,we make stress relief process by vibration system. After the stress relief process machine frame goes to CNC 5 axes machining centers for accuracy,. All referance surfaces and connection holes are machined. By all this processes machine frame sensivity is protected for a long life time. – Machine ram made from outside housing to the machine frame.There is no housing inside of the machine & by this solution you are very flexible to work at between columns. 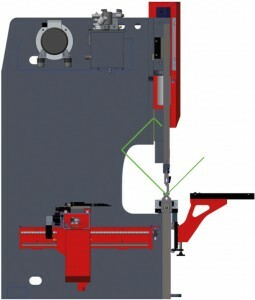 – Optic linear guide system is fixed to the machine bed by seperatedarm. By this solution you are able to record all yaw values. This solution helps you to adjust your bendings sensitities&repeatibilities. – Machine hydraulic tank,motor & hydraulic units are compact designed on top of the machine. By our compact design, we maximised the machine for your specific bendings & collision free. – Machine throat depth is maximised & throat design is specialised for your specific bendings. And also to make this solution we increased the machine width,height and weight. 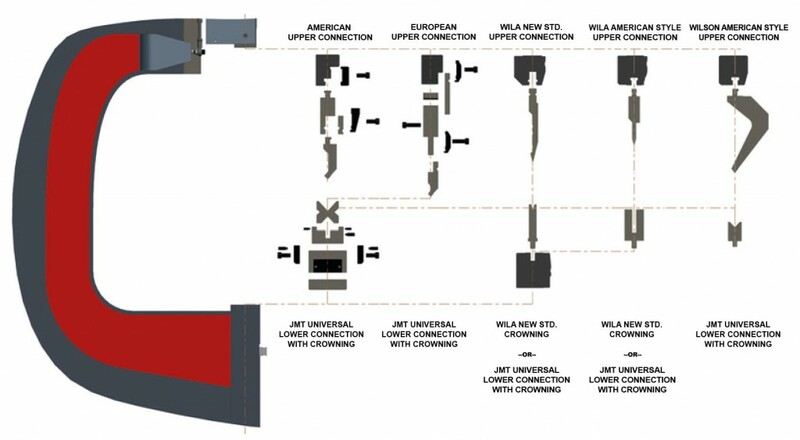 JMT offers both manual and automatic controlled crowning systems for all our press brakes. Automatic CNC crowning comes standard on our JM-S machines. 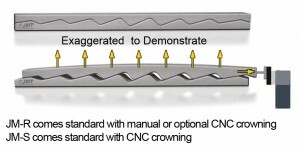 The position and setting is automatically calculated and set from the normal program information via the CNC control.